Today was a hot and toasty day, but my boys wanted to play outside anyway. I really wanted to give them an activity that would encourage sitting and playing calmly. These plastic eggs are always a hit with my kids. The boys go crazy every time I get them out. I gave the boys a water pitcher and several plastic cups. We filled the cups with water and dunked the eggs. 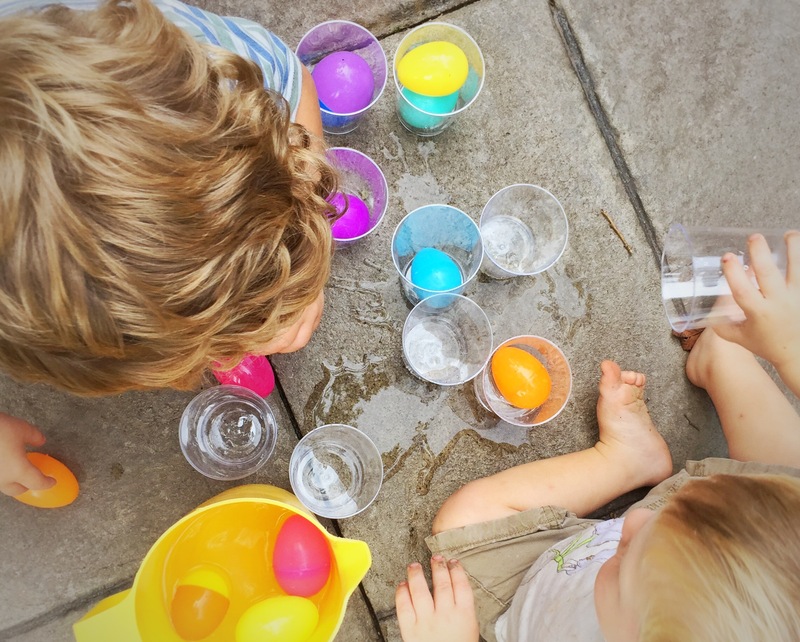 The kids loved pouring water and moving the eggs from cup to cup. This kept them engaged in a calm activity, and also gave us an opportunity to talk about colors and counting. Hope you enjoy trying this one.